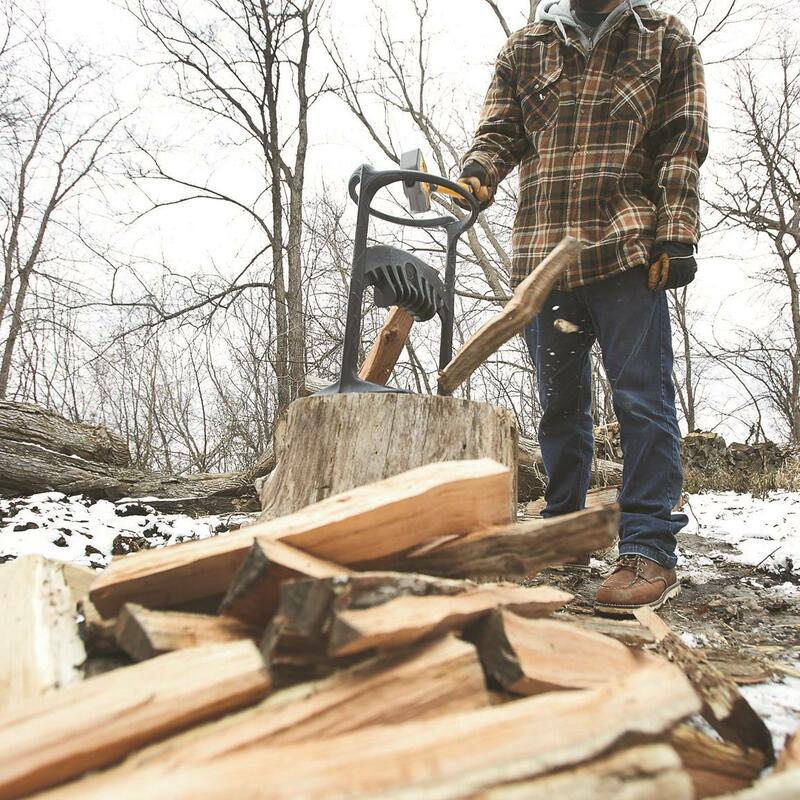 Split wood into kindling faster, safer and easier. 9" diameter top ring, 17"h.
Splitting wood into kindling doesn't get any easier than this. 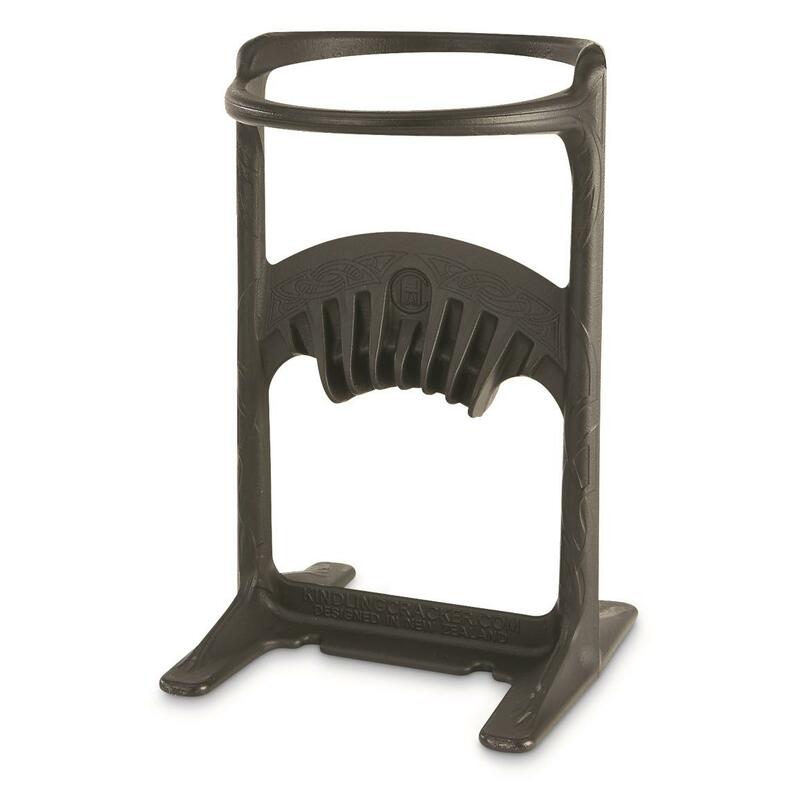 With it's simple, durable, incredibly effective design, the Kindling CrackerTM King is the safest way to get into the swing of creating kindling quickly. This award-winning, patented design does not require a moving blade or sharpened object to pass by your hands. 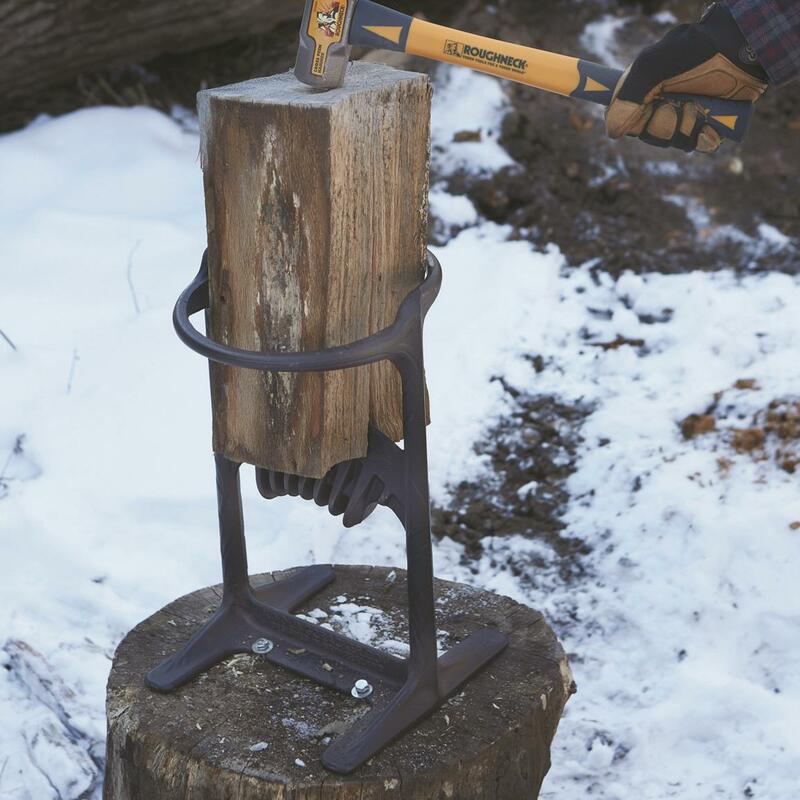 Simply set a piece of wood into the ring at the top, give it an easy strike with a hammer, hand maul or sledge, and bingo—perfect kindling, every time. 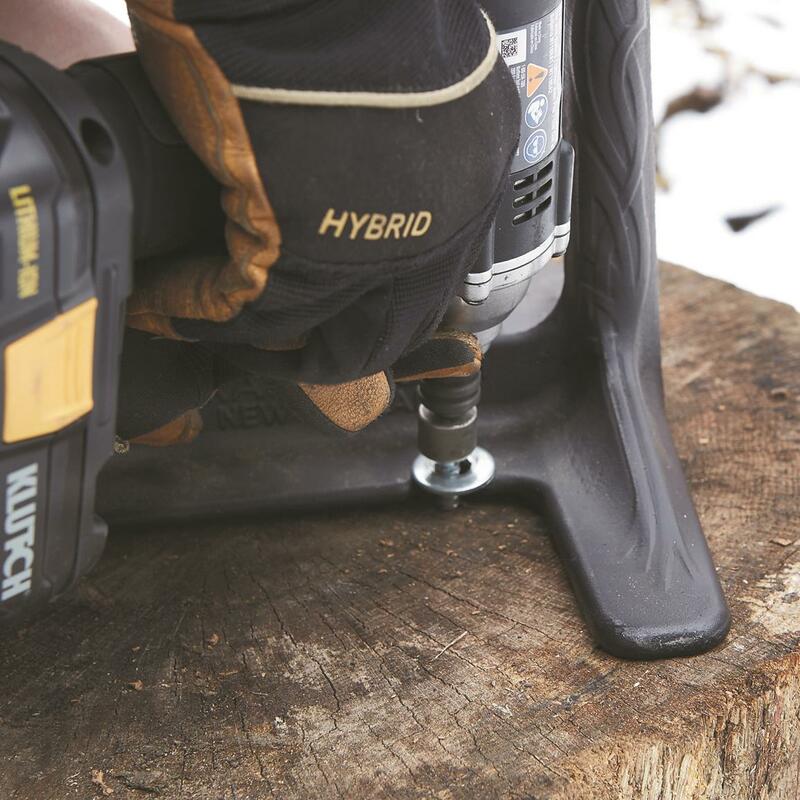 Safe and easy to use, and you don't need to be a lumberjack to get results. Get one for home and the cabin. Plus, the Kindling Cracker King makes a great gift! Bigger, badder, still just as safe. 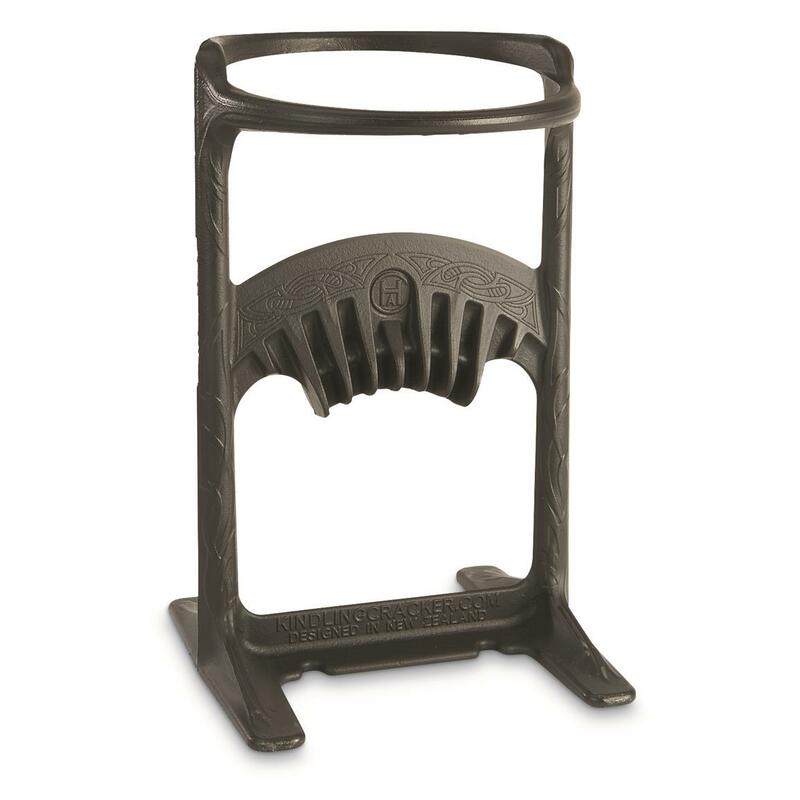 Building off the design of the original, best-selling Kindling Cracker, the Kindling Cracker King features a larger, 9" diameter ring and taller, 17" height, which allow you to split larger pieces of wood with ease. 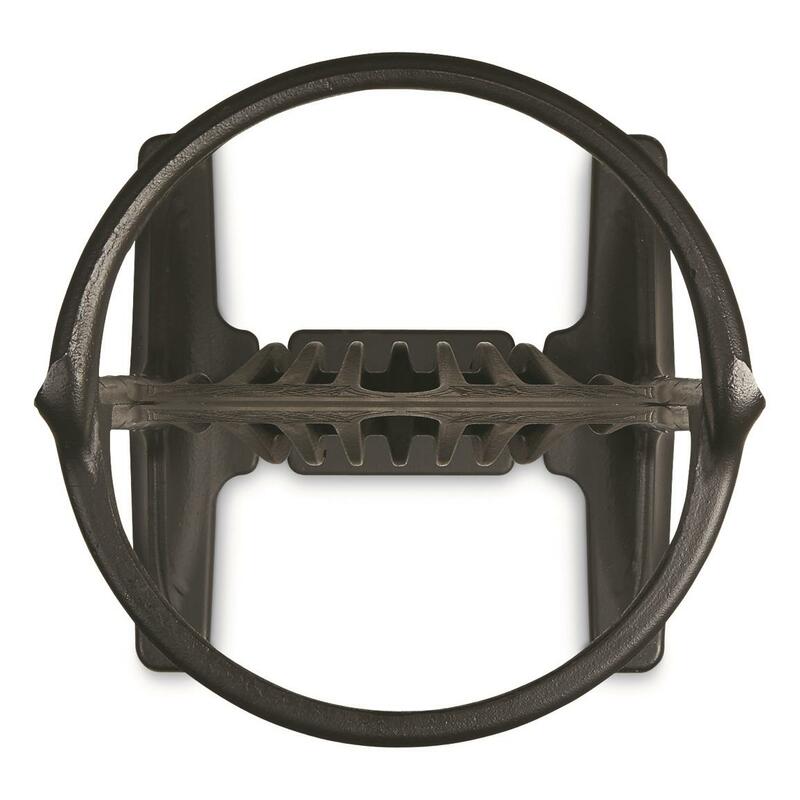 One-piece, high-quality cast iron construction will last for generations and even better, can be used effectively by people of all different sizes and strengths. The perfectly angled splitting wedge easily splits firewood into right-sized kindling. All it takes is a swing of a hammer. Make stacks of wood for your indoor fireplace, outdoor fire pit, pizza oven, sauna, smoker and more. When inspiration strikes, create kindling. 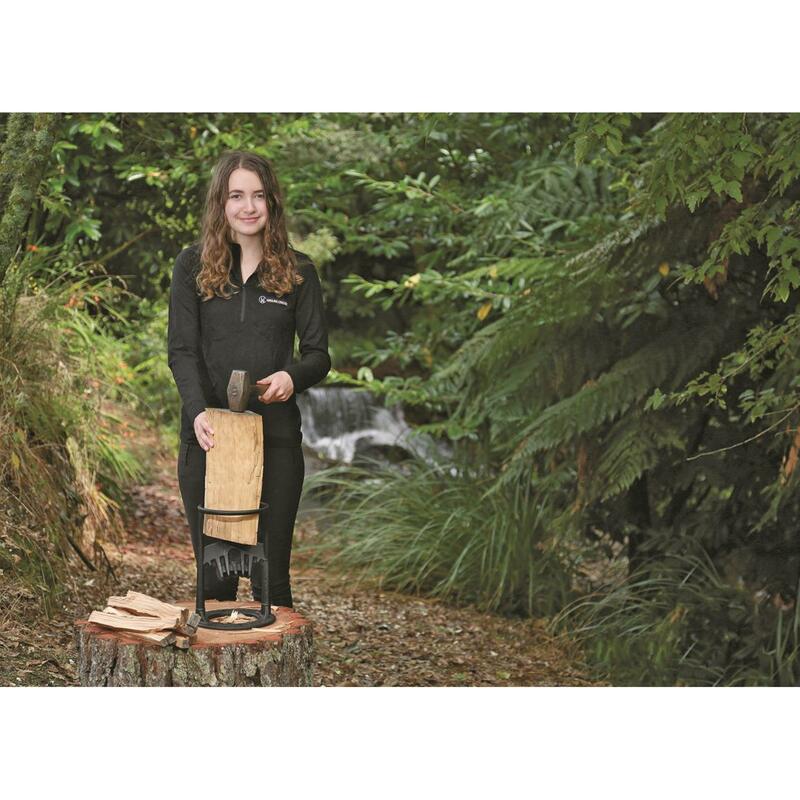 This ingenious tool was designed by New Zealand teen Ayla Hutchinson as a student science fair project and has since earned numerous awards and international recognition from Scientific American, International TeenBusiness, Google and more. Ayla's hometown of Taranaki gets mighty cold in the winter and as Ayla explains, "When you are cold, you can never get the fire going fast enough. Lots of little kindling helps fires to start quickly and this is why I invented the Kindling Cracker (that, and to make sure my mum kept all of her fingers and limbs intact!)" 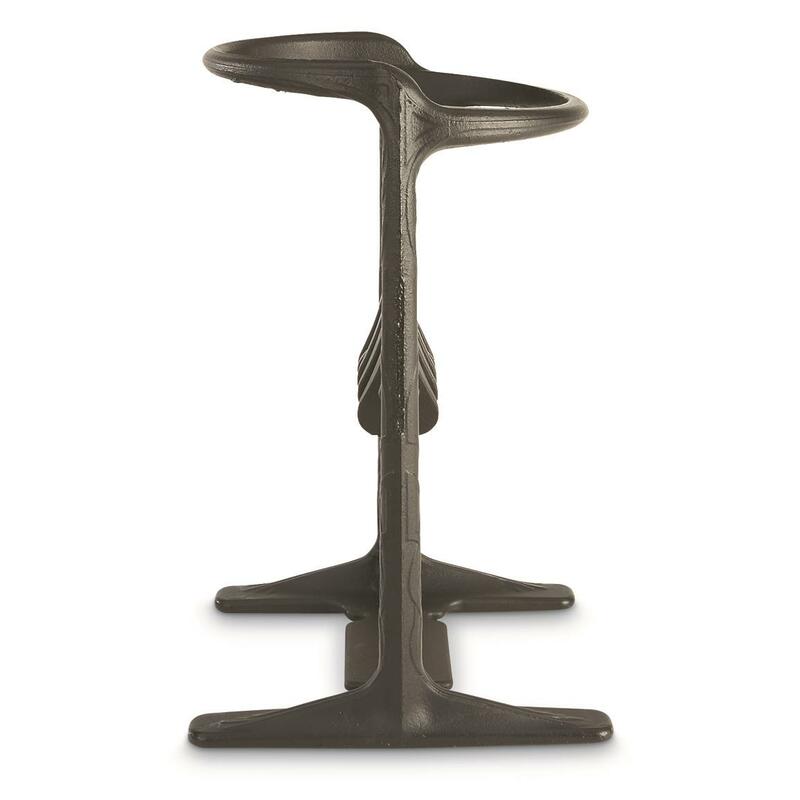 Dimensions: 17"h. x 9" dia.